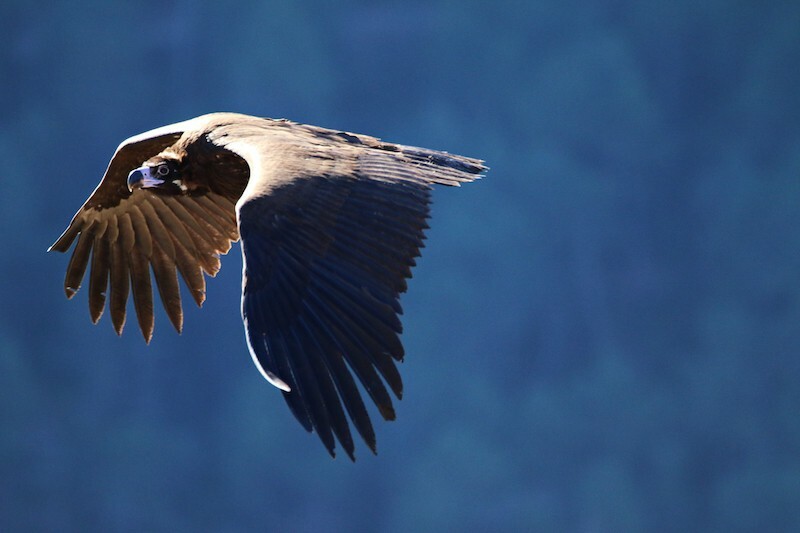 Reintroduction of the Black Vulture (Aegypius monachus) in the Pyrenees. Network of supplementary feeding points (PAS) for necrophagous birds in the Pyrenees. 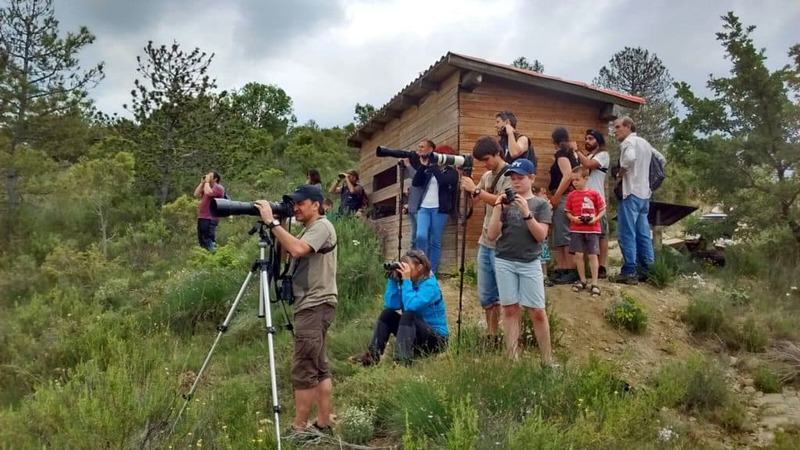 Conservation of the Lesser Grey Shrike (Lanius minor) in Spain. Mountain olive groves and biodiversity in Les Garrigues (Lleida). 10% of the sale price of this neckwarmer is donated to Trenca. For further information about Trenca, visit this page of the NGO. 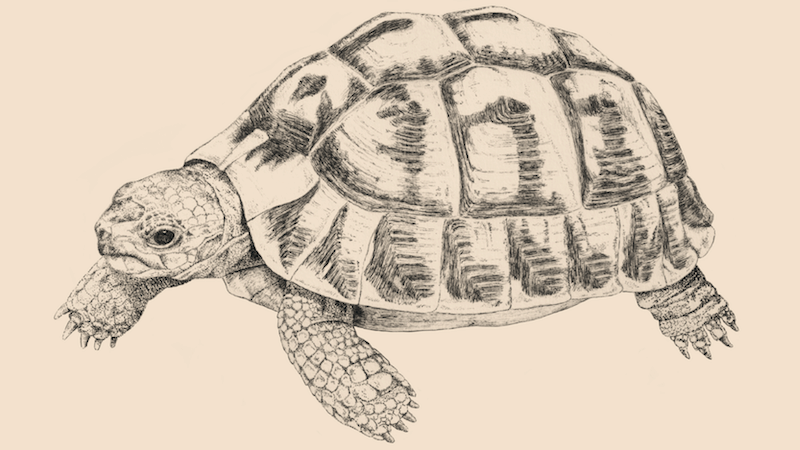 Learn more about the Hermann’s Tortoise, the animal printed on Trenca neckwarmer. Human activity is altering the natural ecological processes of our environment. Catalonia, by its characteristics, has diverse and rich ecosystems. For this reason, it is an area of ​​great natural and cultural value. 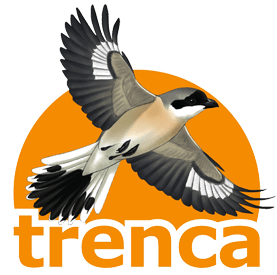 In order to preserve them, Trenca completes the actions carried out by the administration with the participation of the civil society in the conservation of the nature. 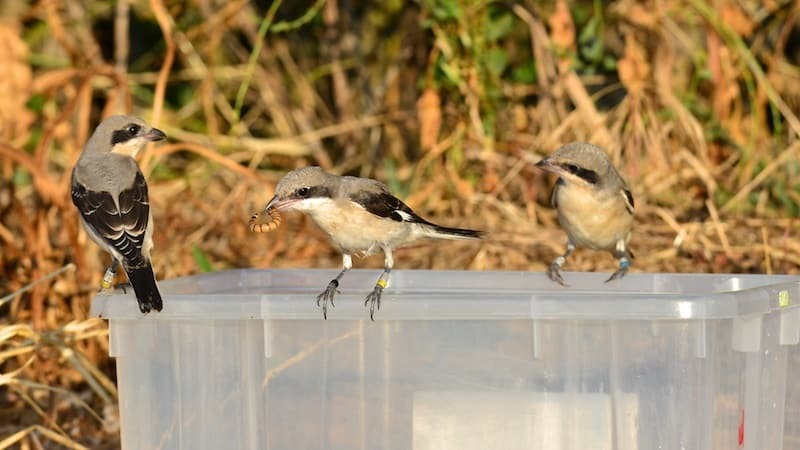 Success in the conservation, captive breeding and release of the Lesser Grey Shrike (Lanius minor), the most threatened vertebrate in the Iberian Peninsula. Recovery of the population of the Black Vulture in the Pyrenees, extinguished in the second half of the 19th century. PAS management. PAS are points of supplementary feeding, with specific contributions for necrophagous birds of greater interest in the Pyrenees: Bearded Vulture, Egyptian Vulture, and Black Vulture. Environmental education: multitude of talks in schools, environmental awareness sessions, monographic courses, and informative publications. Recovery of elements of natural and heritage interest, and landscaping improvements in the Vall Major de Bovera (Les Garrigues). 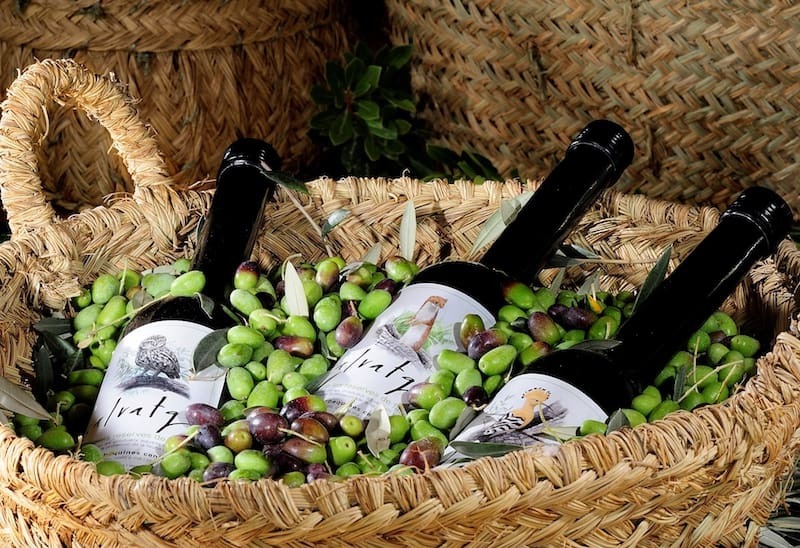 Recovery of centenarian olive groves and commercialization of the oil that is obtained under the brand name Salvatge, combining agriculture and conservation of nature, involving at the same time the different local actors. Promotion of volunteering and inclusion of people at risk of social exclusion into our projects. Environmental actions related to the White Stork, the Little Owl, the Peregrine Falcon and the Lesser Kestrel. As a land stewardship organization, we have involved landowners with in the conservation of nature and landscape. Involvement of different social sectors in the preservation of the natural heritage, collaborating and working on joint projects with different administrations, organizations and companies. Lack of involvement of certain sectors of the society in the environmental problems. Environmental education as a basic pillar of awareness. To expand the offer of environmental education. Buying extra virgin olive oil, produced in our wildlife reserves and marketed under the name of “Salvatge”. Making general donations or donations to specific projects. Becoming a friend of Trenca. Contributing with materials: computers, office equipment, vehicles, trailers, wood, working tools, working clothes, etc. Subsidies, service contracts, agreements with organizations and private companies, and private donations. 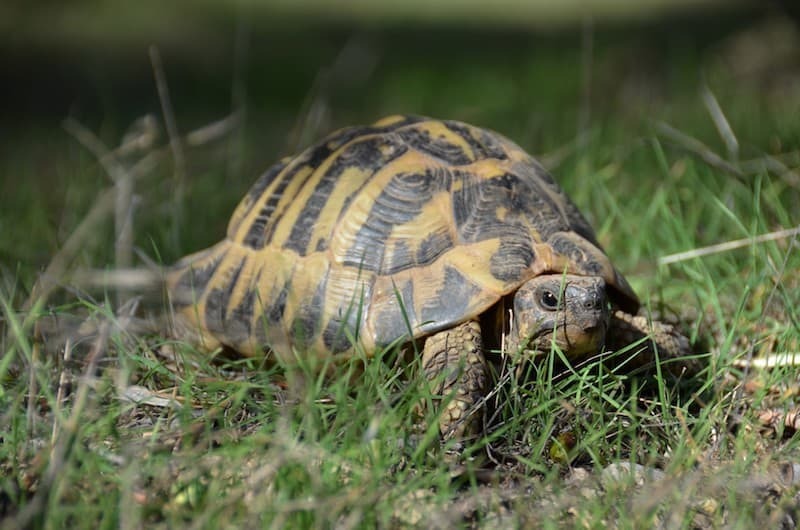 We participate in a project for the reintroduction of Hermann’s tortoise in Montsant Natural Park. First births coincide with the launch of the Giraffa neckwarmers collection. The neckwarmer that supports our organization is printed with illustrations from this species! World Wildlife Fund (WWF), for its constant struggle for conservation. A world where we take better care of the life and biodiversity. To reduce the use of the private vehicle and use the bicycle to get around for the sustainability of the planet and your personal health. Every day some species become extinct on our planet due to human activity. 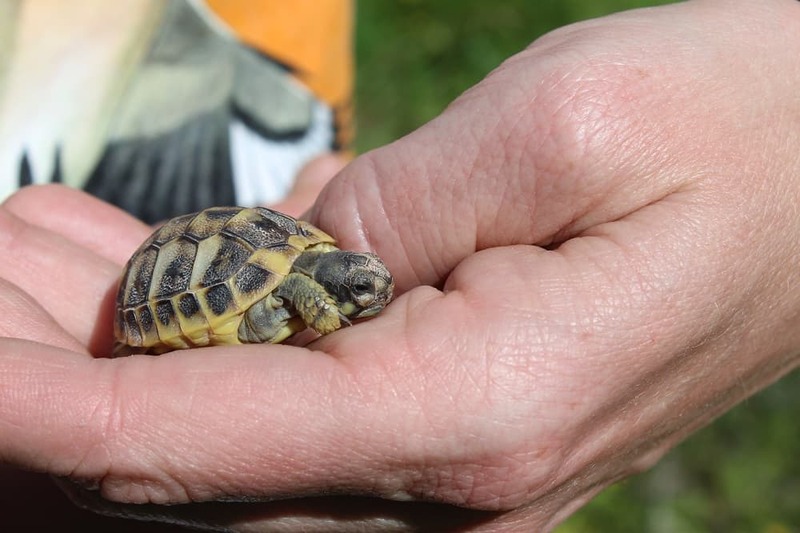 According to the Living Planet Index, between 1970 and 2012 the population of birds, amphibians, and reptiles decreased by 58%. It is in our hands to reverse this trend. That is why the commitment of the civil society and the environmental organizations is fundamental. We have detected a growing interest in the environmental issues and the protection of the biodiversity. We are increasingly aware that the alteration of natural processes affects our everyday lives, and that it is necessary to take measures to leave to the next generations the planet in good health. Last year we released 120 chickens of Lesser Grey Shrike (Lanius minor), and in 10 years we have managed to consolidate (with 55 specimens) the Black Vulture population in the Pyrenees, extinguished since the second half of the 19th century.